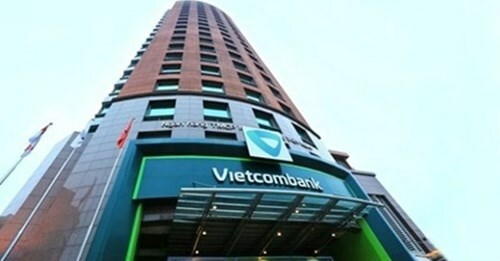 Hanoi (VNA) - Singapore's sovereign wealth fund GIC is set to acquire a 7.73 percent stake on a fully enlarged basis in Joint Stock Commercial Bank for Foreign Trade of Vietnam (Vietcombank), Vietcombank announced on August 29. The two entities signed a memorandum of agreement, under which GIC will purchase nearly 305.82 million new shares in Vietcombank, Vietnam’s largest bank by market capitalisation. The equity investment by GIC will increase Vietcombank's charter capital, help the bank prepare for the implementation of BASEL II and maintain its position at the top of the Vietnamese banking sector. GIC's investment is part of Vietcombank's private placement of nearly 359.8 million new shares. The investment will be GIC's first significant direct investment in a commercial bank in Vietnam. GIC will also offer Vietcombank technical assistance and support. "This investment reflects our confidence in Vietnam's long-term growth potential. We believe with Vietcombank's strong management team and market positioning, the bank will be able to capitalise on the strong growth trajectory of the Vietnam banking industry," Amit Kunal, head of Direct Investments Group for Southeast Asia, Private Equity & Infrastructure, GIC, said. "Should this agreement be approved by the Governor of the State Bank of Vietnam and the prime minister of Vietnam, it would represent an important milestone for long-term co-operation between GIC and Vietcombank. GIC's strong reputation and experience will provide Vietcombank the support it needs to achieve its financial and business goals, both locally and internationally. In return, our market leadership and strong growth prospects offer GIC a potential upside in its investment in Vietcombank," Nghiem Xuan Thanh, Chairman of Vietcombank Board of Directors, said. The terms and conditions of the transaction are subject to relevant regulatory authorities' approvals and further negotiations between both parties, leading up to the signing of a share subscription agreement. The transaction is expected to be completed by the fourth quarter of 2016.